Some reviews of JAAM 28 have recently appeared. Next up was a brief review in issue 42 of Poetry New Zealand. The reviewer says ‘JAAM continues to provide a wide and various outlet for writers from every segment of New Zealand’s literary community’ and goes on to describe the issue. 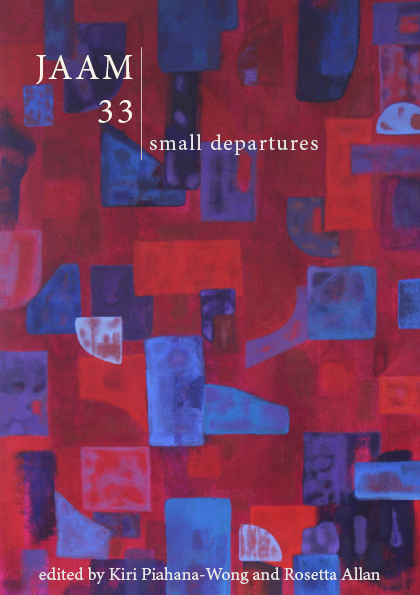 The third, and most thorough, review is by Gillian Cameron in A Fine Line, the NZ Poetry Society’s magazine. The idea behind Dance Dance Dance is, as editor Clare Needham explains, to get “writers thinking about dance and dancers thinking about writing” and “to gather them together and ask them to perform as an ensemble”. Dance Dance Dance achieves this – not just for the contributors but for the reader as well. There is a wonderful mix of short stories, interviews, poetry, photos and artwork. While some of the pieces seemed (to this reader at any rate) to have only a slight connection to dance, most explore the connection of dance and writing in thought-provoking ways. Jo Thorpe’s ‘Hunt the slipper’ weaves a breathless spell of seduction around legendary prima ballerina Marie Taglioni. In ‘Dancing on lego’ Anna Jackson skillfully skitters and slides … Extracts from Janis Freegard’s ‘The continuing Adventures of Alice Spider’ have whetted my appetite for more about “Alice Webster”. Nicole Taylor’s ‘Jerry’s Dance’ underlines dance as an integral part of the human experience. She concludes: ‘Last but not least, Kesha Robert’s photos provide a sizzling display of Latin American dance festivities. My copy of Dance Dance Dance is now looking very well thumbed!Last but not least, Kesha Robert’s photos provide a sizzling display of Latin American dance festivities. My copy of Dance Dance Dance is now looking very well thumbed! This entry was posted on Tuesday, May 10th, 2011 at 9:29 pm	and posted in JAAM 28. You can follow any responses to this entry through the RSS 2.0 feed.